Where Are All Your iMessages? I missed a text message from a friend on my iPhone the other day. I realized the problem when I got home and saw the lingering comment glowing on my iPad as an old iMessage. 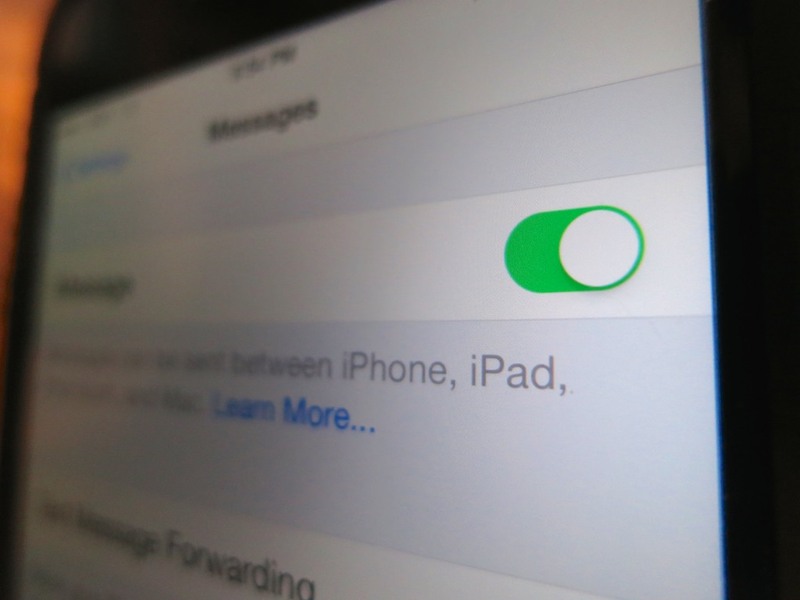 Why was my Wi-Fi iPad receiving iMessages that my iPhone was missing…? I opened up the ‘Messages’ settings on my iPhone. The red flag was immediately evident…. I saw that ‘iMessage’ was simply turned off. And to rub it in, the Off setting was accompanied by an ‘error’ message. How did iMessage get deactivated? Come to think of it, I had recently noticed that some of my texts which would typically travel on the free, ‘blue’ iMessage road to another iDevice were only showing up as normal ‘green’ SMS texts that count against my texting plan. I didn’t think much of these little green monsters, because sometimes the blue path gets inexplicably blocked, forcing an iMessage to morph into a standard text. Why Is iMessage Suddenly Turned Off ? So I immediately reactivated iMessage on my phone, which required my thumbprint’s touch ID authentication. More importantly though, I wanted to know why this had all happened in the first place. I had recently upgraded my iPhone’s operating software to iOS 8.3. Was this the culprit…? I took a look online at some Apple message boards, and in fact there were others talking about similar problems. But I found no official determination that an iMessage issue had been created by iOS 8.3. Then I did a little more diagnostic research as to when the green texting regression actually cropped up. I tracked my daily texts to my wife, and in fact, they started turning green a month back on April 1. And that was before iOS 8.3…. It’s possible I did a previous iOS upgrade on that day, but I no longer have any evidence. All I’m left with is… April Fools!!! So what are the lessons learned here…? Never ignore the playful (and frustrating) power of April Fools’ Day. It’s probably a good idea to check your iMessage settings every time you upgrade the iOS on your iDevice. If it takes a month to figure out you’ve got a tech problem, you can’t place all the blame on someone else.